Hours ago the USS Lassen made its way within 12 miles of China’s man-made islands near Subi Reef, part of the Spartly Islands archipelago. During its roughly 72 mile freedom of navigation mission, the American Arelaigh Burke Class Destroyer was shadowed closely by the Chinese Type 052C guided missile destroyer Lanzhou and the Sovremennyy Class patrol destroyer Taizhou. China could have used one of its Coast Guard ships or smaller patrol craft to execute the same mission, but decided to use one of its most powerful ship instead. This was a clear and loud message that China also has hard power in the region regardless of the state of its island outposts and it can instantly respond on a military level to American power-plays. China’s use of a Type 052C guided missile destroyer, one of their most modern surface combatants with roughly the same mission as the American Arleigh Burke Class destoyer (the USS Lassen’s class) is interesting as it represents a hard-military response to America’s challenge to China’s territorial claims. 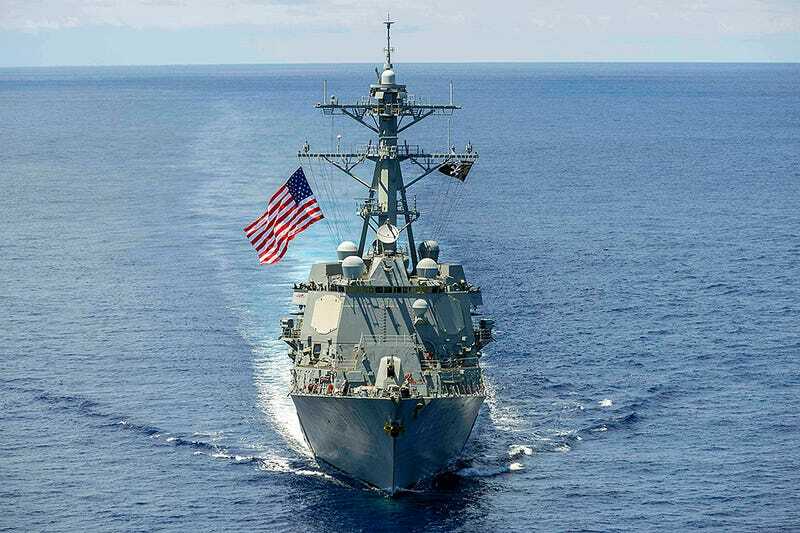 The Navy has stated that the USS Lassen’s mission will not be a one-off occurrence and to expect more freedom of navigation drills in the South China Sea in the future. Considering China’s protests and the military posture they have already taken by using a pair of destroyers greet the USS Lassen, increased militarization on both sides is seemingly inevitable. China will almost certainly accelerate its island building and outfitting activities now that the U.S. has officially challenged Beijing’s wishes to stay away. This is simply unacceptable to the United States, and the United States will take strong military action, which will tend to move the issues from the civilian law enforcement to the military realm. Considering that the USS Lassen was met by one of China’s own guided missile destroyers, his quote seems to have been dead on. Now it will be up to China on how or if it will respond to the Lassen’s near passage or to the next American ship that attempts it.